Special Discounted Prices now! Prices may back to normal soon! 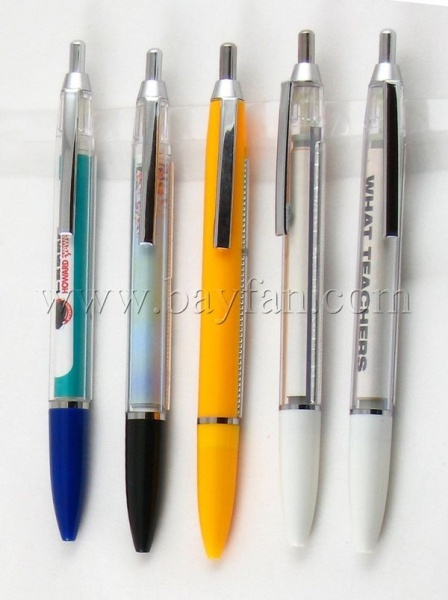 We've been professional Chinese manufacturer and direct seller of banner pens for years. We've helped many companies to enhance their promotional program, distinguishing political candidates by giving away this unique and useful banner pens to public. Supplement your banner stand displays with the perfect trade show promotional giveaway. Message pens! 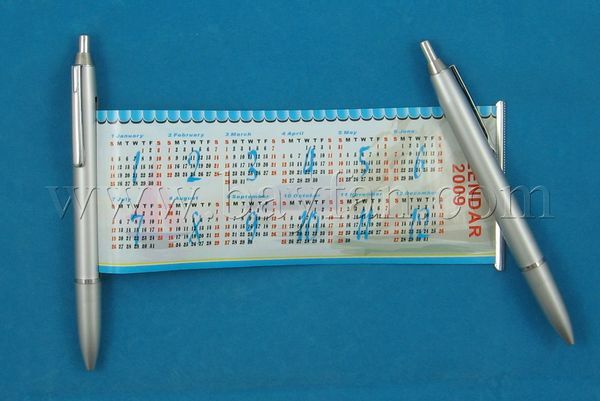 Display your message inside a banner pen! * Please note that the above picture only a demostration of logo print. You will get you logo printed on the banner pens style and color you order. The minimal cost of logo imprint service addon is USD100, so if your actually order quantity is less than 500pcs, you have to order 500 Logo imprint addon service. Metallic Banner pens. Matt silver look. Give your giveaways target people a impression of metal banner pens or metal pens, but much low cost in perchase prices.